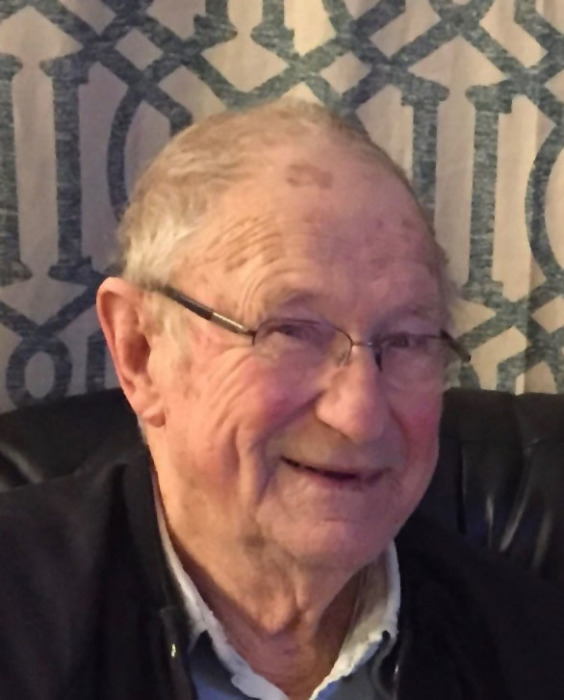 Obituary for Walter Oliver Wilson | J. H. Lynner Co.
Walter Wilson passed away on Tuesday, February 20, 2018 at the Clarkfield Care Center at the age of 90. Memorial services will be held on Saturday, February 24, 2018 at 2:00 PM at Hazel Run Lutheran Church in Hazel Run, MN with Pastor Cody Mills officiating. Visitation with the family will be held one hour prior to services at the church on Saturday. Walter Oliver Wilson was born on July 29, 1927 in Stony Run Township, Yellow Medicine County, MN to Walter A. and Clara L. (Swang) Wilson. He was baptized and confirmed at Bergen Lutheran Church in Stony Run Township. Walter attended school at District 14 and graduated from Clarkfield High School in 1945. Following graduation, he attended Luther College. Walter was united in marriage to Trudy E. Opdahl of Granite Falls, MN on September 9, 1950. They farmed in Stony Run Township until January of 1960 when they bought an oil jobber ship in Hazel Run, and later in Clarkfield while they continued living and raising their family in Hazel Run. Walter was active in the community as a city clerk, and as a school board member. He was also a member of Hazel Run Lutheran Church where he served as treasurer and church sexton. Walter had musical talent and loved to sing. He put his talent to use by singing in the church choir at Hazel Run, as well as singing at weddings, funerals, and other events. Walter was an avid reader and especially found interest reading about history and solving crosswords, cryptoquips, and sudoku puzzles in the newspaper. He enjoyed spending time at the cabin on Lake Norway water skiing and spending time with family. Walter also enjoyed playing Pinochle and wood working, which involved building bird houses and crafting whirlybirds. Walter is survived by his children: Debra Olson of Minneapolis, Stephanie (Perry) Davis of Minneapolis, and Tamara (Kevin) Wyffels of Cottonwood; daughter-in-law, Ruth Wilson of Cottonwood; grandchildren: Chelsey, Michelle, and Grant Olson, Nicholas (Reina) Davis, Jessica Davis, Tera (Mike) Lauer, Matthew (Karissa), Eric, Justin (Aliana), and Jarrid Winson, and Jon Wyffels; great-grandchildren; Isabell Chase, Ethan, Liam, and Dylan Davis, Ansley, Caden, and Audra Lauer, and Rowan and Emery Wilson; and many loved nieces, nephews, cousins, and friends. He was preceded in death by his wife, Trudy in 2012; his parents; son, Gregg; grandson, Jacob Wyffels; sister, Donna; and son-in-law, Craig Olson.